As an industry leading product range, the SeceuroShield range of Security Shutters, Retractable Security Gates and Window Bars can be combined to meet all requirements. Although often overlooked, securing your property provides peace of mind by protecting the things that matter most to you, whether that’s your home and family or your business and consequently your livelihood. With so much choice, choosing a security product that most suits your needs can seem like a daunting task but SeceuroShield industry leading products address all requirements and are supplied and installed by industry experts who are there to offer advice and guidance on the most suitable product for your premises. Besides securing your property, many SeceuroShield products offer other benefits such as insulation and sound proofing, ventilation, or increased advertising space for your business by use of special graphics. 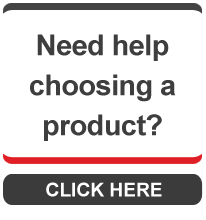 All products are supplied and installed through your local approved distributor who will be able to offer expert guidance and advice to ensure a tailor made solution. A name you can trust - When buying a SeceuroShield product you can be reassured by the values behind the name. Every SeceuroShield shutter is CE marked and SWS UK is an ISO 9001:2008 assessed company. Expert advice - With a local expert on hand you can be confident in choosing a product that suits your needs and provides a seamless finish to your property. Manufactured in the UK - Using the latest machinery and equipment, all SeceuroShield security products are proudly manufactured and assembled in the UK. A solution for everyone - With so much choice SeceuroShield security products can accommodate almost any requirement. Whether you need a built-in or built-on solution, solid or vision or need security on a small budget. Engineered to perfection - Through continuous development and specialist engineering, SeceuroShield security products offer unrivalled quality and the most advanced specifications. We appreciate that not all security requirements are the same, therefore we have developed a diverse range of products which address the needs of each and every project. Choose from our range of attractive security shutters, retractable gates or removable window bars.